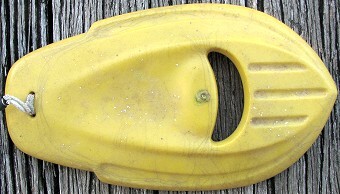 Donated by John Mandyberg, with thanks, September 2006. 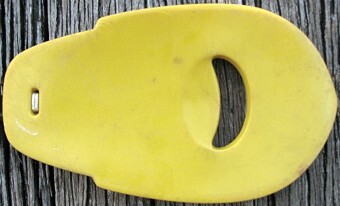 Handboards are some of the earliest documented surfboards in Australia. 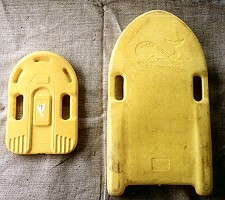 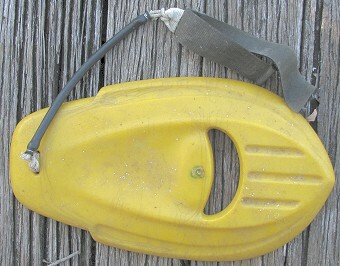 The flyers in the template and the hand rope/leash are mid-1970s adaptations.